Mark Sakamoto's memoir follows the story of his grandfather Ralph MacLean and grandmother Mitsue Sakamoto during the Second World War. 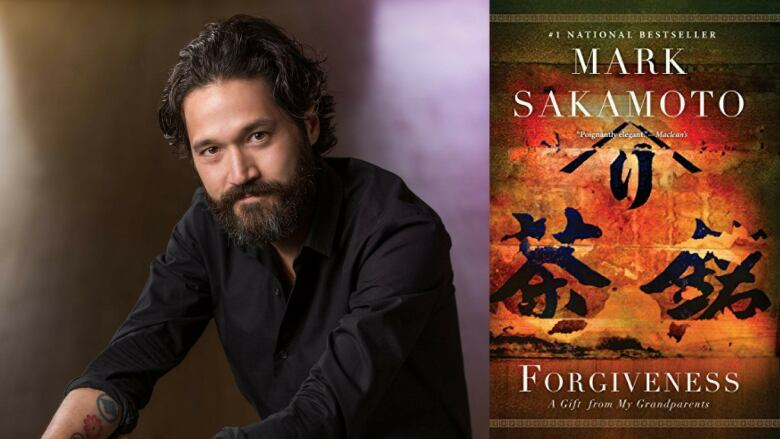 Mark Sakamoto's memoir Forgiveness, defended by fashion journalist Jeanne Beker, was the winning book on Canada Reads 2018. It was announced this week the book is being developed as a limited series by CBC and Don Carmody Television. Rob King, recently nominated for an International Emmy Award for the drama Tokyo Trial, will be writing the script. Sakamoto's bestselling book chronicles the stories of his grandfather Ralph MacLean and grandmother Mitsue Sakamoto during the Second World War. MacLean served in the Canadian Army and endured brutal conditions as a prisoner of war in Japan. Mitsue Sakamoto was interned by the Canadian government after the Pearl Harbour attacks and was forced to live and work for pitiful wages on a rural Alberta farm. After the war, Sakamoto and MacLean managed to slowly rebuild their lives and raise families. Sakamoto's son and MacLean's daughter would fall in love and have two sons — Mark Sakamoto and his brother. The latter part of the book is the author's journey in forgiving his mother, who suffered from alcoholism. "I'm thrilled that my family's journey is in the caring hands of the Don Carmody team and the CBC," Mark Sakamoto said in a press release. "Moving from page to screen has been so very exciting and I can't wait to watch with my family." Sakamoto will be a creative consultant on the script, alongside Joy Kogawa, who wrote the iconic novel Obasan. "'East is east and west is west', and the twain meet in the transformative work of Mark Sakamoto," said Kogawa. "Forgiveness shines a light on two families caught in the cross-currents of history and suffering and offers us hope that the same forces of healing are active among us in the enmities of our time." The book is being developed as a four-part limited series. Below, watch the trailer CBC Books created for Forgiveness during Canada Reads 2018.